The world's population has grown by five billion people over the past century, an astounding 300 percent increase. Yet it is actually the decline in family size and population growth that is the issue attracting greatest concern in many countries. 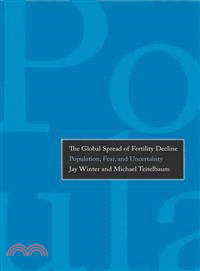 This eye-opening book looks at demographic trends in Europe, North America, and Asia—areas that now have low fertility rates—and argues that there is an essential yet often neglected political dimension to a full assessment of these trends. Political decisions that promote or discourage marriage and childbearing, facilitate or discourage contraception and abortion, and stimulate or restrain immigration all have played significant roles in recent trends. Jay Winter is the Charles J. Stille Professor of History at Yale University. Michael Teitelbaum is Wertheim Fellow at the Labor and Worklife Program of Harvard Law School and a Senior Advisor at the Alfred P Sloan Foundation in New York. Together and separately they have written numerous scholarly works on history, politics, and sociology.